YouTube Kids, the supposedly child-friendly version of YouTube that’s been shown to often play host to troves of slop content and disturbing videos, apparently was showing videos from British conspiracy theorist David Icke, a guy who believes reptilian aliens secretly control the world and are responsible for the Holocaust. 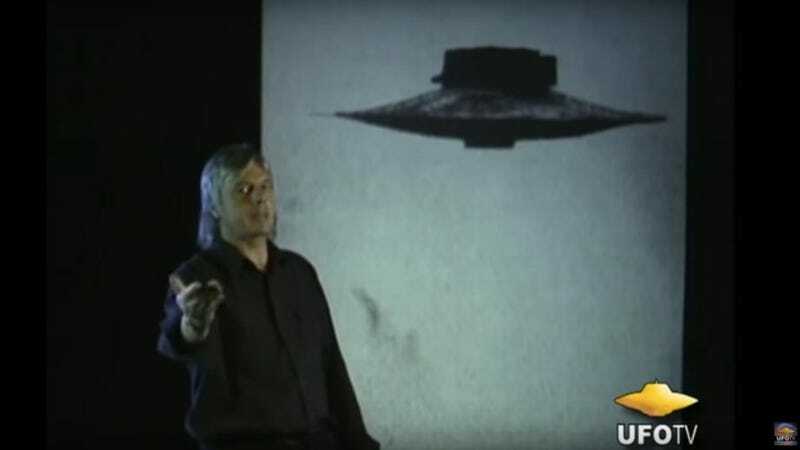 According to a Saturday report in Business Insider, searching for the term “UFO” on YouTube kids turned up a video purporting “to show a UFO shooting at a chemtrail.” The suggested followups for that video featured a number of Icke’s clips, including a nearly five-hour lecture on how aliens built the pyramids and secretly run the planet through a ruling class extraterrestrial-human hybrids. The video also delves into a number of other conspiracy theories, including claims Freemasons indulge in human sacrifice and President John F. Kennedy was assassinated by his own government. Searching for the term “moon landing” also resulted in a number of conspiratorial videos emerging, including one making the claim that CERN’s Large Hadron Collider had opened a portal to another world that an unfortunate employee then vanished in. While YouTube removed 25 videos specifically flagged by Business Insider, the site reported conspiracy content remains widely available on YouTube Kids and watching some of the videos resulted in others showing up in the app’s recommended video queue. While the regular version of YouTube has its own problems with propaganda and disinformation (some of which, like videos blasting mass shooting survivors as “crisis actors,” have repeatedly made the site’s top page), YouTube Kids is ostensibly supposed to be totally free of this kind of content. It’s also likely that many parents are letting their kids watch it unattended, which may be ill-advised on the parents’ part, but is clearly part of the site’s business model. YouTube has previously promised to clear out this kind of content, and shut down a number of channels featuring inappropriate videos starting last year. It’s debatable whether it’s actually possible to ensure this stuff doesn’t begin creeping in, though, since there are millions upon millions of videos intended for children available on both the main site and YouTube Kids, and YouTube and its parent company Google tend to rely first and foremost on algorithms to police this sea of content rather than human moderators. When it began paying attention in November 2017, YouTube demonetized at least two million videos and 50,000 channels with disturbing content aimed at kids, suggesting the scale of the problem whichever app is used. In any case, prior advice stands: Don’t let YouTube babysit your children unless you want them watching disturbing Spiderman-bikini girl mashups, videos of Peppa Pig being fed bleach, or apparently, elderly British men telling them that the government is secretly staffed by alien lizard monsters wearing human skin.